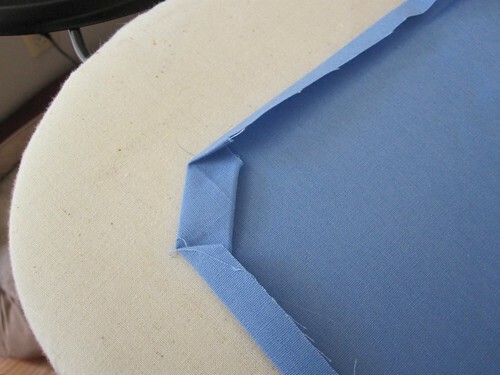 This is a quick tutorial post on how to do mitred corners which I use for the next project I’ll show here. 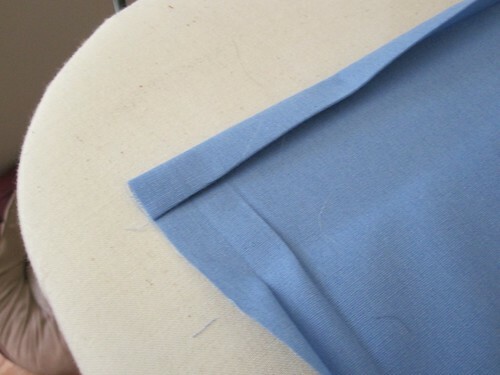 Start by folding over 1/2 inch and press. I use 1/2 inch but you could any unit in place of that. 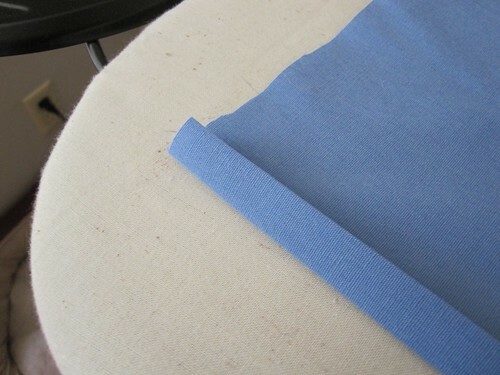 Fold over another half inch and press. Open that up and press a half inch in the other direction. And another half inch in that same direction. 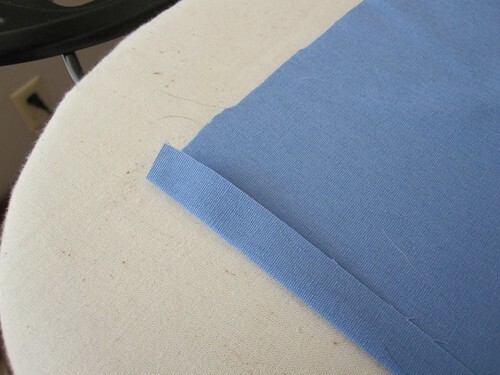 Now fold over the corner until it means the point where the bottom two creases cross. Press. 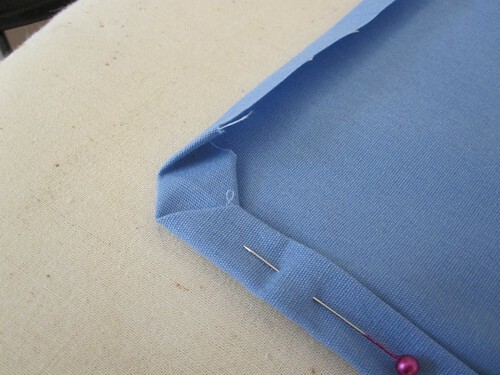 Now fold right on the line that forms a 45 degree angle with the sides and goes through the point of the little corner you folded over. Press. Here’s what it should look like. 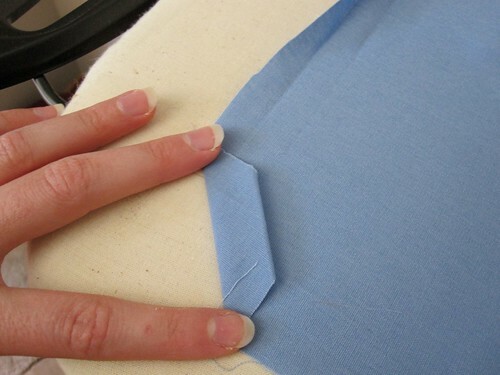 Resist the urge to connect the crease points. You want to fold along the line that crosses the point of that triangle from the previous picture. When you’ve done it right, the edge of your new trapezoid won’t match the creases exactly. 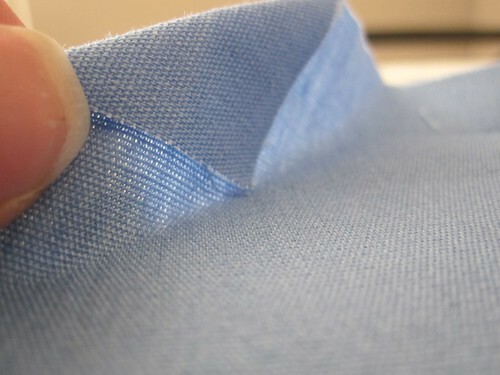 Folding on your old creases, fold over 1/2 inch on both edges. 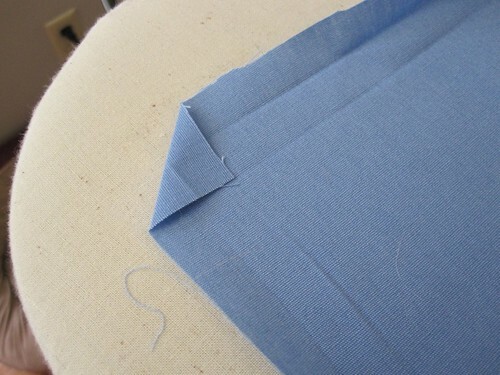 Fold over another 1/2 inch on one edge. Pin. 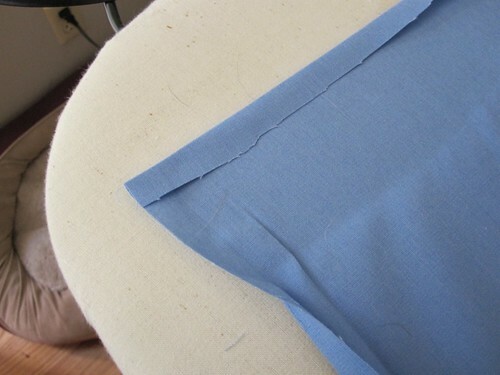 Fold over another 1/2 inch on the other edge. Pin. 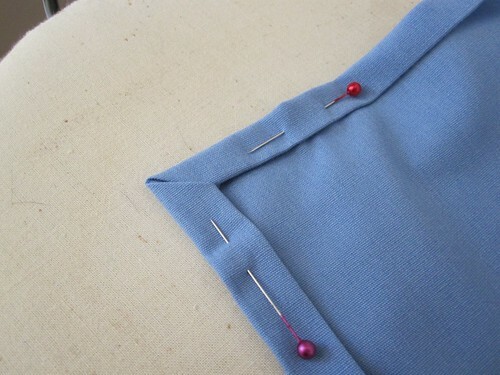 Sew the corner as you normally would, pivoting at the corner. And you’ve just done a mitered corner! 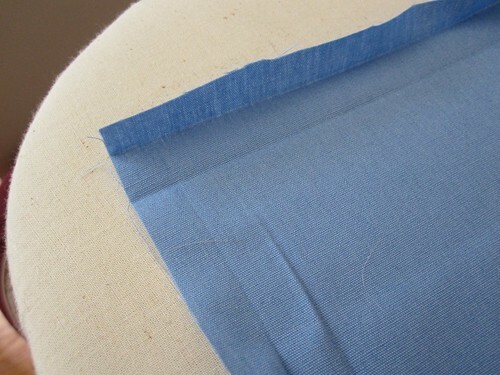 Also useful for napkins and tablecloths.